We had the pleasure of being part of Today’s Parent Facebook Live event in May with Medela Canada. 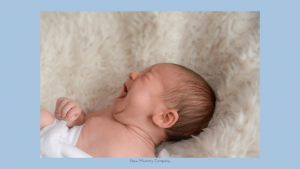 Our owner and newborn specialist, Maria Robertson, and our experienced lactation consultant, Caitlin Black-Allen, discussed and advised on preparing for successful breastfeeding and making a breastfeeding plan. The Facebook Live was broadcast on May 17th, 2018 and is available to watch on our Facebook page. What is a ‘breastfeeding plan’? A breastfeeding plan is a tool to help you, your family and your healthcare providers to understand your breastfeeding goals. Setting goals for your breastfeeding journey is a good idea to help you make informed decisions on what you feel is right for you and your baby. Think of a breastfeeding plan as a list of preferences rather than a set list of ‘can and can not’s. Baby’s do not always comply with strict plans which can lead to disappointments and upset, but babies are born with their own little personalities which sometimes means compromising. If there are definite preferences you do not wish to compromise on, discuss these with your partner and your family so that they can help and support you with your wishes. If you feel passionately about some aspects of your breastfeeding experience, communicate your feelings with your support network as well as your healthcare provider. Your healthcare provider may have a set of guidelines and protocols in place for things such as Skin to Skin which is why it is important to express your preferences with them early on in your care so that they are away of your needs and wants. It is important to have a birth partner who can advocate for you. Labor and birth can be exhausting or in some cases unpredictable and on the off chance you are unable to advocate your wishes with your healthcare provider it is important to have someone who can express your wishes for you. In some cases, this is a life partner, a friend, a family member or a doula. Doula’s are particularly great when you find yourself with friends or family that may not necessarily agree with your views or preferences and want someone to give you the best evidence to support and decide on your plans – whether that be your birth preferences or breastfeeding preferences. ‘Fail to Prepare, Prepare to Fail’ is often motivation used in all aspects of life and the same goes for breastfeeding. Preparing for breastfeeding and nursing antenatally is invaluable. Time and money is precious when preparing for your new arrival but giving yourself the time and headspace that you may not have when your baby is born may be the best decision you could make. Retaining the skills and information it takes to successfully breastfeed after giving birth and adjusting to life with a newborn can be difficult and frustrating which is why it is a good idea to invest in breastfeeding prenatal education while you have the time and comfort to learn. The first aspect of many people’s breastfeeding plans and preferences is skin to skin contact after the birth of their baby. Skin to skin has many benefits and has a huge influence on successful initiation of breastfeeding. Skin to skin should ideally be commenced immediately after birth but sometimes due to complications at birth this may be delayed. It is never too late to do skin to skin with your baby and it can be done any time. Skin to skin helps to regulate your baby’s heartbeat, keep your baby warm and stabilize your baby’s blood sugar as your baby adjusts to life outside the womb, among other things. Skin to skin can be done in theatre after instrumental birth and caesarean section, however hospitals sometimes have guidelines for or against this. It is important in the case of planned elective caesarean section to express your plan to do skin to skin to your healthcare providers (surgeon, theatre nurses, anesthesiologist, etc) before your surgery begins, ideally before the day of your cesarean section. In the case of emergency cesarean section, skin to skin can depend on the urgency of the emergency cesarean – i.e. if you have spinal anesthesia or a general anesthetic. If you do have to have a general anesthetic you can detail on your feeding plan that you wish to have your birth partner do skin to skin with your baby initially after birth until you are reunited after the birth. If your baby is unwell and taken to the NICU or SCBU, you can ask the staff there if they can assist you to have skin to skin with your baby. Decide if you want to exclusively breastfeed your baby or if you are comfortable with your baby having substitute feeds i.e. formula. It is every woman’s right to choose how they feed their baby and for many it is difficult to make that informed decision. The WHO recommends exclusive breastfeeding until at least 6 months of age for every baby, without the use of pacifiers or dummies. If you plan to exclusively breastfeed, express your decision to your birth partner, family and healthcare provider so that you have support in place if and when you need it. If your baby is at risk of low blood sugar (often babies of diabetic mothers or babies being treated for suspected infection) your nurse or doctor may advocate for your baby to have a ‘top up’ of formula if your baby is not nursing well or effectively. Ask to speak to a lactation specialist or consultant and ask to be shown how to hand express your colostrum or breastmilk. Hand expressing is an amazing tool in the early postpartum period and is a skill you can learn in a prenatal feeding class or from your healthcare provider after you birth your baby. If there is a medical indication for supplementation don’t be nervous to ask for alternative treatments and options. If your baby is slow to increase in weight after discharge, your healthcare provider may encourage you to express breastmilk with a breast pump to give your baby more volume of milk after nursing. In these instances, it may be an idea to consider renting a breast pump. Often once your baby has regained weight and is nursing effectively you will no longer need to express your milk and will return to exclusive breastfeeding. Instead of investing a lot of money in a breast pump for a short period of time you can have the use of a hospital grade breast pump for a much smaller fee and return the pump when you’re finished with it. To be able to recognize your baby’s early feeding queues, which is important when nursing your little one, it is important to ‘room in’ with your baby 24 hours a day. This means having your baby in your room with you rather than in a nursery. Inform your healthcare provider that you would like your baby’s exams done in your presence unless your baby requires medical attention outside of the room. Plan the support you might need with breastfeeding. Research local support groups and clinics in your area, in case you need them after you are discharged. Breastfeeding groups are widely available, both online and in person and are a good way to connect with other moms. If you are having breastfeeding issues or concerns, don’t hesitate to contact a breastfeeding and lactation specialist such as a lactation consultant. Lactation consultants are available privately, in your home to support you in comfort and at a pace that suits you and your baby. Lay support such as support from your friends and family is also invaluable – don’t be afraid to ask for help! 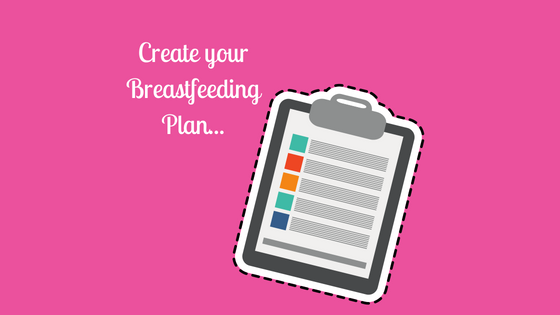 If you have any other tips for making a breastfeeding plan, please comment below. If you are interested in any of our postpartum support services simply call us on 1-844-837-4686 for more information or to book one of our many services available in Toronto, Calgary and Vancouver.